Personally, I’m not a fan of very specific answers to that question, like “I want to have the XYZ job in this office.” First, it often comes across as a little presumptuous, and second, you can’t really know that that’s your goal until you’re working there and have a much more nuanced understanding of the role as it exists in that particular organization, and what it requires to do the job well. However, you can certainly give a less specific version of that answer, by explaining that you’d like to take on increasing responsibilities and eventually be managing people and projects. I am the HR Director for a charter school network. Talent is incredibly competitive in this city, as there are many schools vying to hire top candidates. We have someone in a leadership role who is really strong and who is committed to staying in the role so long as she lives in this city. Her husband is a third-year law student and has begun the job search. She’s been very up front with us that if he finds work elsewhere, she’ll leave to go with him. Given how strong she is in her role and how hard it would be to replace her, I want to do anything I can to help her husband get a job here. Between myself and some others in our organization, we have connections to a few law firms in the city, as well as a couple of people in private practice. My question is, what is the line in how far we can go in helping him? I obviously expect him to have to stand on his own merit to be hired, but what do you think is the best way of connecting him with our connections? 3. Is it time to jump ship? I have been at my current position for a little over a year. It is a small business where I get to work very closely with my CEO. I adore her, and have learned a lot from working with her. The problem I’m having is with the sales staff, who I have to assist. While they are nice people, they are terrible at working as a team, they can panic and blow out of proportion the slightest thing, and they take serious advantage of my tech savvy ways to the point where I’m beginning to suspect they are not even trying to learn the new tech. This is exhausting to me. On top of that, they are not making their billings and I fear the company is in trouble. I’ve brought it up to my manager that their constantly asking me for help with the tech is putting a damper on productivity. Some of them have complied with her request to stop asking me for help, others have not. They are getting pressure from the CEO to start working as a team and increase their billings or heads will roll, but they are resisting the change. I love working with my boss and my two colleagues in administration are great, team-oriented workers. Is it time to jump ship? Do I wait to see if things look up? I fear my patience is waning, I don’t want my positive attitude to go with it. Your frustration with the sales staff and your concern about the company’s finances are two separate issues. On the first, talk to your boss again and explain the problems are continuing. You should also start setting boundaries; if people are asking you for help with things that you’re not supposed to be spending your time on, tell them that. Say, “Sorry, Kate asked me not to work on tech stuff since I’m focused on X and Y” or whatever. On the finances issue, you need to get a more solid idea of whether the company is really in danger or not. That’s not something you want to just guess at. I got a job offer a couple of months ago from Company A and could not start immediately so we parted ways. They called me recently to check if I would want to join them at my desired start date. They said if I am interested, they would re-send the offer letter to me as I was the top candidate. I said that I am very interested and I accepted verbally. While waiting for their offer letter (next day), Company B contacted me for an interview. I told Company B that I was waiting on an offer and it was a matter of few days to decide. They sped up the interview schedule. I accepted to have the interview tomorrow with Company B. The two companies are tightly knit (partial owners, partners, rarely competition short term — long term unknown, etc). So, shall I disclose the company names to each other? Do I tell Company A that now I am going to interview another company after I just verbally told them that I am interested and they are re-sending the offer letter? Can I drag out Company A once more? This is a very small circle and the two hiring managers know each other as well (worked together or one for the other) from all that I can tell. I want to do the right thing for me and my future prospects. I also respect Company A’s manager and whether this may put him in an awkward position. You didn’t just verbally tell Company A that you were interested — you verbally accepted the offer. Unless you hadn’t yet agreed on salary and other terms, you accepted that offer. If they find out that you’re continuing to interview, you risk them pulling the offer. If I’m wrong and you haven’t actually accepted Company A’s offer, then it’s fine (and smart) to continue to interview until things are finalized. But there’s no reason to share the companies’ names with each other. 5. Should I be worried about this company’s hiring timeline? I know it’s only been about 2 weeks, but I’m wondering what to make of this? Initially I thought things went well, but now, looking back, that and another instance rubbed me the wrong way (they asked about my start date availability, and then basically told me I wouldn’t get hired if I couldn’t start right away in January, even though I had made post-graduation plans). Are these things to be worried about? Or am I just over-thinking it? I don’t see anything too odd here. Hiring does take a while, and employers aren’t always able to tell you exactly what their timeline will be. And it’s not unusual to require candidates to start in a particular month, or even on a particular week or day. They don’t really care that you’ve made post-graduation plans; they need someone to start when they need someone to start. The only thing that seems remotely odd to me here is that they need someone to start in January but aren’t able to tell you how long the process will take. If someone’s going to start in January, they need to have this wrapped up in the next few weeks. That said, it’s not at all unusual for a company to start out a hiring process thinking they’ll have someone hired by Date X, only to have it take months longer than that. I was hired for a public relations job seven months ago and shortly afterward, got pregnant. While I enjoy my job, I have a lot of down time at work and most of my job, outside of attending events in the community, involves writing and graphic design work that I do at my desk. I know without question that this is a job that I could do part-time. I do extra things not required of me just to fill up my hours at work, and often I still have time to spare. I also know that I don’t want to be paying for childcare to sit at work and surf the Internet. I had planned to approach my bosses a month or two before my due date and ask them about telecommuting options. However, I learned that a previous person in this position did just that after having a baby and they wouldn’t allow her to work outside the office. What is the best time and way to approach this? I’m now somewhat under a time crunch because I have a nonprofit part-time job opportunity that I could transition into instead. However, that job would be less than half of my current salary so I’m eager to make this job work if possible. Don’t wait until a month before your due date to start talking about this. Start talking about it now. (I’m assuming they know you’re pregnant, since it sounds like you’re six months or so along.) Go to your boss with a proposal for how this would work — what hours you’d work, what you’d commit to getting done in those hours, how you’d handle last-minute or emergency work outside of your part-time hours, etc. 7. Are career-related hobbies worth mentioning? I am a female engineer. Engineering is a second career for me after 23+ years working in other technical positions. I left the workforce in late 2008 to go to grad school (graduated 12/2011) and have not been able to find work in my chosen field since then. One of my hobbies is designing and fabricating electromechanical computer controlled machines from re-purposed parts. I have been using my hobby to keep my engineering skills current and learning new ones while looking for a job. Grad school used up all my savings so I’m building machines from whatever I can find at thrift stores, yard sales and dumpsters. I had an interview a while back. During the interview, I brought up my hobby and some of the work I have been doing and was pretty much scoffed at by the hiring manager! What should I be doing while looking for work? Baking cookies? I believe that I have learned a lot from my hobby and I consider it an important part of my engineering education and experience. How do I present this experience in a cover letter and/or resume? Or am I better off just not talking about it at all? That interviewer was a jerk and a bad interviewer — don’t draw conclusions from one jerk. This is an excellent thing to talk about when asked how you’ve been spending your time, and it’s also one of the few hobbies that seems worth putting on a resume, since it’s directly connected to your field. am I being stingy with my contacts? To number 3 : Write up procedures and once you show someone how to do something…don’t ever do it for them again. Stand there and talk them through it if they’re having trouble following the procedures you’ve written up but don’t do it for them. When people have someone like you in an office (I’ve been there) even if their technical skills were decent once upon a time they’ll use you like a crutch for as long as you’ll let them because “You know it better” or “it’s just easier and faster if you do it” so their own technical skills which might have once upon a time been decent start to degrade. You’ll be doing them and yourself a favor if you stop letting them use you all the time. Answer their questions if you can (or at least point them in the right direction) but don’t do it FOR them any more. I kind of agree with this. I can figure out how to set a network printer up on my computer, but since our IT guy does it for everyone else, it’s *so easy* to just shoot over the email… I’m a bad person. OP here, already done that. I’ve created multiple step-by-step procedure documents that I made available to all, and have stood there while they do whatever needs to be done, just to make sure they were able to follow the walk-through. I’ve once again brought up my frustration to my manager, and she will be reminding them at the monthly meeting that they need to try before they ask for help, and that she is the one they should call first, not me. #7 – While I know you were trying to illustrate a point for yourself, I would caution you to be very careful. Perhaps you may think baking cookies is beneath you, but many people – including some who may be interviewing you – find it to be a very good hobby and a living. Make sure you do not come off as putting other peoples hobbies down or thinking yours is better. I am not saying you are doing that, but by adding this into your letter here you could leak that feeling into an interview. My impression was that the OP was suggesting that there was underlying sexism involved here, and that as a woman she wasn’t expected to be enjoying engineering in her spare time but something more traditionally female. +1 This is exactly how I read it as well. As an unemployed hobbyist cookie-baker, I took no offense. OP, building robots out of junk sounds like an incredibly badass hobby. If you were in the Bay Area, hiring managers would eat that up! On #1, what if you have the opposite problem…that you don’t have specific career goals? I ultimately want to have a career that I find personally fulfilling where I can help people. It’s not that I’m unmotivated, it’s just that a lot of different things could make me happy. How do I answer the “3-5 years” question? I think that if you’re asked this question in an interview, you should tailor your response to the position/field/industry. You don’t want to lie, but you want to show interest in the position. #7: I’m an engineer myself and have been in a position to interview some other engineers for entry level engineering positions. I was very interested in work related hobbies. It shows a real interest in your craft. I don’t know how you would phrase it to put it in a cover letter or on a resume but I would certainly bring it up during an interview if it’s appropriate. I’m now somewhat under a time crunch because I have a nonprofit part-time job opportunity that I could transition into instead. However, that job would be less than half of my current salary so I’m eager to make this job work if possible. I wouldn’t compare the other opportunity with your current salary, since I assume going part time would result in a pay cut. Even if your current employer agrees to moving you to part time I would be shocked if they allowed that at your full time salary. Jamie, I think the OP took that into consideration. It’s reasonable to expect that going part time in her current job would allow her to retain at least half of her salary, and that’s more than what the other job would pay, according to the OP. How do get that indented/gray quote? The blockquote tag. The sidebar has a How to Comment link with instructions. #1 – The one benefit to this question (at least in technical fields) is whether or not they have management aspirations. Some IT people would love to go into management and others would jump off several cliffs before having to sit through budget meetings. There are better ways of asking it – but I think it’s used to get a field for what they want out of their career path. I find Question #3 interesting. Whenever a Sales Rep isn’t doing well at my job they start making mountains out of molehills in the office, usually feigning computer trouble, or Excel trouble, and ask for leads lists to be run, then complain about the lists they get, and ask for minor changes to them, etc. etc. They may think they are looking productive and engaged but its obvious to everyone else its busy work. I think #4 was also concerned that word would get around if she interviewed with Company B, given how cozy relations are between the hiring managers. 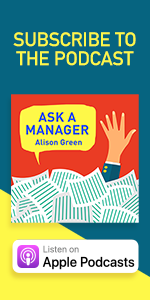 Not only would it make you look flakey to waffle on your verbal acceptance as AAM said, but I do think you could expect A to hear from B about your interview. I’m not sure if this is going to be helpful to OP #1 or not, but when faced with the “Where do you see yourself in X years?” question, I give an answer that’s more about the rapid pace of change than about specific goals. Looking back five years into the past usually leads me to the realization that there are things I take for granted today that I never would’ve predicted to be part of my life five years ago. When faced with that type of question, I emphasize staying current, being flexible, being eager to learn new skills, and similar things. This type of answer is probably better in some fields than others. #1 – I actually like that question (sorry Alison) because it differentiates between people that just want a job Vs people that have dreams. That doesn’t mean that some people are still wayfinding and don’t know what they want. But I want to hire people that are looking into the future. #3 – Just say no. People can’t take advantage of you without your permission (or unless they decieved you). Boss has already issued instructions, so just reference that every time they ask. #5 – This bothers me. The company is allowed to take their sweet time but the OP is expected to be available at any notice? That is unequal. I’m also bothered by the complete ambiguity of the answer. “It takes a while” could be followed up by “It usually takes 2 months or so”. The attitude sounds really disrespectful. That said OP, they have no obligation to hold a job open just because you made plans in January. That isn’t their problem. #6 – It is possible that the other person wasn’t allowed to telecommute for other reasons unrelated to having a baby (performance issues come to mind). Put together a fact based case for your manager. Explicitly show them how they will benefit from this arrangement. But I want to warn you about something. “Part time” many time means “no benefits”. Many companies require at least 32 hours a week to get all the bennies, so make sure that you aren’t cutting your salary more than you think you are. #7 – The hiring manager was silly. REAL engineers would see this as an advantage and totally cool. Definately mention this in your cover letter. I am bothered that it is taking you so long to find a job in engineering. It could be 2 things – you are asking for too much money (not entry level, which is what you are) or you are being hit by age discrimination (pretty likely). My advice would be to head for the super big companies with government contracts (they care more about compliance) and also the itty bitty companies that care more about performance. Your breadth of abilities in other tech assignments will be seen as an asset to the small companies – they only need to hire one person for many tasks (and I would put this as a sales point in my cover letter). #1 Oh, I don’t have a problem with the question itself — just with answers like “the X job at this company,” since I think it often comes across as a little silly/naive when you often don’t yet have enough of an insider perspective to know if you do want that and what the qualifications would be. I think answers that talk in more general terms tend to make more sense. #6 Totally agree re: not assuming that one person not being allowed means that the OP won’t be allowed. Could be because she had performance issues or a different type of work or who knows. Thanks for your feedback (Alison and EngineerGirl). I’m glad I’m not completely off base. My problem wasn’t that they wanted me to start in January – it was how all of their scheduling was working. I wasn’t told they needed me to start in January until the end of the interview, at which point they’d already told me their process takes “awhile.” It would have been nicer to have had a heads up, or to not have been told: well, we probably won’t give you an offer if that’s when you’re available. I may also have had a misunderstanding. Previous jobs I’ve worked have allowed me to choose my own start date (within reason), so I’ve had time to get things in order after school ends. My frustration with this one is that they didn’t give me a timeline, yet seem to expect me to be available on their schedule. That’s a reasonable frustration. But, if they expect you to be ready in January, that’s something of a timeline, like Alison says. I coordinate hiring at my job, but I by no means am the one making the final decisions. So when a candidate for a higher level position asks me for a timeline, I can tell them what I know, but it’s completely out of my hands… sometimes, “a while” is the best you can do! On the other hand, the answer of “a while” does mean that you should not be waiting by the phone. It’s better to know something, even if it’s only the difference between “a while” and “we’re really looking to finish this process up quickly.” Practically, they may mean the same thing, but at least you know where they’re collective head is at. I’ve stopped hiding that I’m a writer. There’s no point. #7 – OMG that is the coolest hobby ever. I wish I could do that. If I could build stuff, my dream job would be to become a Mythbuster. I would be so impressed if you told me that in an interview. Maybe Jerk was jealous, ha ha. I find this leads to “What are you doing while you’re not working?” Unfortunately, I’m not doing much. Writing a lot, trying to reorganize my house and looking for a job are about it. I don’t even know how to phrase that so it doesn’t sound like I’m being lazy. Maybe I should start baking cookies and selling them. 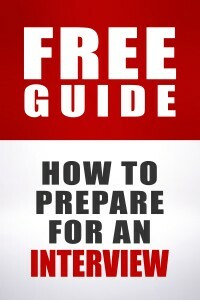 #1 In case it helps, what they want to know is how the job fits in with your overall plans for your career. That’s just it; they don’t. I need a job to pay the bills. No one cares that I want to write novels full-time, which will probably not happen anyway (the full-time part, not the writing novels part, which I’m already doing). However, that helps, thank you. Before my next interview, I’m going to think about that in that context. 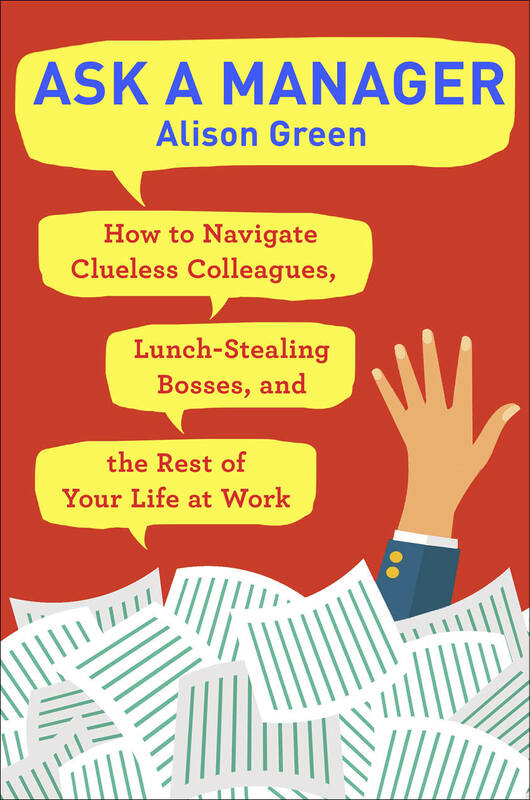 #1 those of us without a specific 5-year plan can benefit from both the constantly evolving employment scene and Alison’s advice to be a bit general. As long as you don’t say something overly ambitious or completely irrelevant. “Ideally, I’d have continued to learn new skills and be in a role where I can x and y” or something like that. At least that’s how I’m approaching it! What if for #1 you have no ambitions? I had 15 years of work and then a devastating illness. I’m trying to get a job again. I know exactly what I want. I want a job that I can go and do well. I don’t want to be on call 24/7 although some overtime is ok. I do not ever want to be a manager or have oodles more responsibility. I want to be a peon. I am a technical writer in a science field. I have no answer for 5 yrs in the future except employed. I’m not looking for tons of money or anything just a daily job. I’m a bit like this and usually answer with something like “I hope to have been e a good investment as an employee for your company and to be making strides in assisting the company in reaching its ongoing prospects and plans.”. 1 got me a job I didn’t get on with management with, 2 got me the job I have now (and a great boss to boot), 3 hasn’t yet got me a job but hasn’t ever got a strong bad reaction in an interview. Results will vary and there is no real ‘right’ answer I believe. I like number two. That’s kind of how I feel. I think you do have goals. Like getting your life back on track. There is nothing wrong with that. So 5 years from now you probably want to build a solid base of stability. Don’t you see? You don’t want to be the victim of your illness, but someone that overcame it. You want to be in a place where your illness no longer affects your every day life. Though anything about illness won’t play well in an interview. I agree with the gist though… something about stability is great. It really shows that you’re interested in settling somewhere and being great at it in the long term. That’s kinda rare these days, and I’d love to hear that in an interview (even as much as I love to hear about ambition). #4 I’m confused. In general, ff you shouldn’t resign your current position until you have a written and signed offer for the next, why does verbally accepting an offer mean that someone should stop evaluating other positions? I see why in this OP’s case they shouldn’t interview with company B, because it will look extremely bad to company A, where there was a long standing verbal agreement. It hinges on whether she accepted the offer or not (agreed on salary, etc.). If she accepted the offer (as opposed to “those terms sound good; please send me the paperwork to look at” or even no discussion of terms yet at all), the process is over and they’re just waiting on signatures. If she didn’t accept their offer, that’s different (my second paragraph in the response). I did not verbally say “I accept”l however, said it will be great to work with them and it will be a win win situation for both. There was a lot of discussion on timelines of what would happen in the next few months in terms of work planning. It sounds vague enough that I think it would normally make sense to continue interviewing until things are formalized. In your situation, though, with the companies so close to each other, I do worry that there’s a risk to you if the first company hears you’re continuing to interview after what they probably consider an accepted offer. Unfortunately, to me it sounds like they are not planning on moving you forward in the hiring process. They previously told you that they wanted a January start date, and at the end of the interview said that it “could be a while”; when you asked for clarification, they said it “would be a while” again. I think that’s passive-speak for “you’re not the right candidate at this time”. Presumably you’ve done your follow up, so my advice is to move on and keep looking for other jobs – and if they do offer you the position, hopefully it will be one of many job offers you have to consider and choose from! I wouldn’t assume that — it’s certainly possible, but it’s so normal for things to truly take a while and for hiring timelines to be blown that I wouldn’t assume that’s the case. I appreciate your perspective. My issue was that they didn’t previously tell me they wanted a January start date – it was the last question at the end of my interview. I gave the date I preferred, and they basically told me I wouldn’t get an offer if I couldn’t start earlier than that. I did do my follow up and am continuing to interview for other positions. Plus, if I’m not the right candidate, what’s so wrong with just letting me know that? A no wouldn’t bother me, but having some things in limbo waiting for a decision does. Yeah, but they really might not be at a “no” with you. They might genuinely just be taking a while to finish the process. #6 Alison’s advice is right on. Go to your boss with a plan of exactly how many hours you want and how your workload will be distributed. I recently switched to part time myself and asking was So Hard. But I figured I didn’t have anything to lose and the worst he could say was no. For what it’s worth, I had been back from maternity leave for about two months when I requested the change. For #6 if they start to seem like they don’t like the request and aren’t going to go for it, you can always suggest a 90 day trial period of this. A friend of mine recently went part-time and working from home and she’s on a 90 day trial to see how it goes from both of their perspectives. After 90 days they’ll evaluate the situation and determine whether she needs to add a day in the office or keep it as is. I wouldn’t suggest this off the bat – if they’re for it, that’s awesome. It can be a good thing to suggest if they seem to have concerns. I always finish all interviews I have scheduled, no matter what. More than once people close to me have had offers revoked, without cause. Why treat a company as you would a friend? To them it’s just business, and you can always be replaced. You should look out for you. They aren’t. In my mind, it’s just survival to make as many connections as you can, wherever you can. I also interview when I don’t need work, to learn what some companies have up their sleeve, and see how they do business.